Some filters can be very interesting, as well as amazing to watch, such as the fluid bed and wet/dry filters. works to maintain long term exposure of the fish to unhealthy water. stocking levels, heavy, multiple feedings and an expectation that the fish will breed as soon as they are capable. ammonia absorbtion or activated charcoal filter with the filter floss. are over 30 years old, working as well as the day they were bought. every tank can be easily monitored. ensure the fish eat the food put into the tank, with minimal excess. this has been the case with has been the Limia nigrofasciata. light also helps to ensure consistent, healthy bacterial growth. by providing a source of food for infusoria that fry feed on is, in my opinion, negligible. barbs and rasboras. 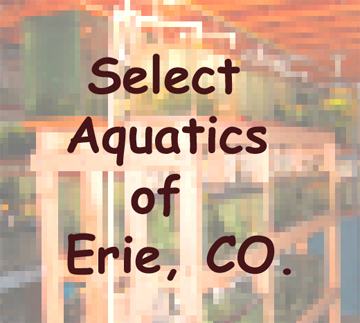 Cooler water holds more oxygen, and cooler tanks possess a lower rate of bacterial activity. exceptions are few. The livebearers sold here, with the exception of the Goodeids, do best at 72-76 degrees. fish, do best in slightly warmer water, showing best color and willingness to breed at 76-80 degrees. better overall water quality, and be possibly better for the fish that will live longer and ultimately grow larger. occasional disasters, such as when they are accidentally overfed, or when a fish dies. now as they did when new, 30 years ago. If you have a number of tanks, consider a blower or a linear piston pump to produce larger quantities of air. entirely undo the unit's filtering capability. filters are not used here.